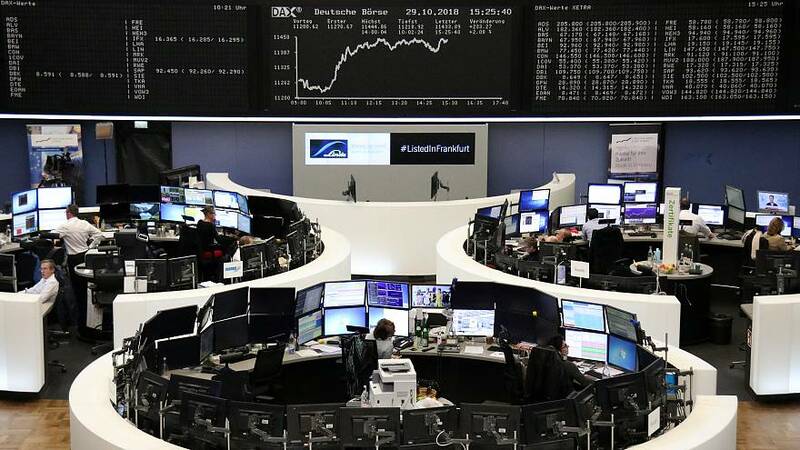 European shares bounced on Tuesday after China signalled more stimulus measures to soften the blow from an ongoing tariff war with the United States, triggering relief in trade-sensitive tech, mining, and car stocks as some results also impressed. The pan-European STOXX 600 <.STOXX> was up 0.6 percent by 0829 GMT, with the trade-sensitive DAX <.GDAXI> up 0.8 percent and the FTSE 100 <.FTSE> rising 0.5 percent. The autos sector <.SXAP> jumped 2.2 percent to its highest since Dec. 5 on the stimulus news and after a strong update from Peugeot maker PSA Group soothed investors' concerns about carmakers facing slowing demand in China. M&A was a driver with Swedish telecoms company Millicom up 4.7 percent after a bid from Liberty Latin America . Kinnevik , the majority stakeholder in Millicom, rose 4 percent among top STOXX gainers. On the negative side, UK bookmakers Paddy Power Betfair , William Hill , GVC Holdings and 888 Holdings <888.L> fell 1.7 to 3.2 percent after the U.S. Justice Department published an opinion which could further restrict online gambling. Chocolate maker Lindt & Spruengli fell 3.1 percent after reporting sales rose 5.1 percent in 2018, in line with its "around 5 percent" goal, but highlighted the market environment remained "very challenging". And among mid-caps, shares in sub-prime lender Provident Financial plunged 20 percent after it issued a profit warning, citing higher impairments at its credit card business Vanquis Bank.